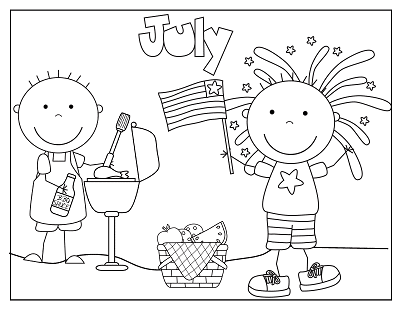 Here is a free 4th of July coloring and fun printable. I’ve been working on several freebies and they are not quite ready so I wanted to post something now. Quick! So here it is already. 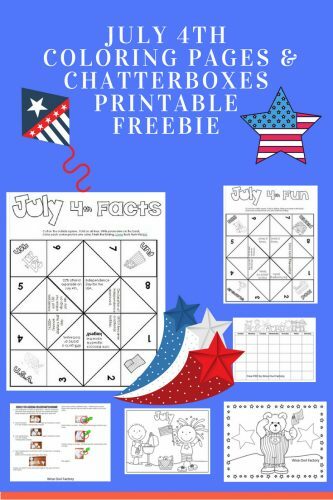 There are chatterboxes (otherwise known as fortune tellers) with facts about the holiday. 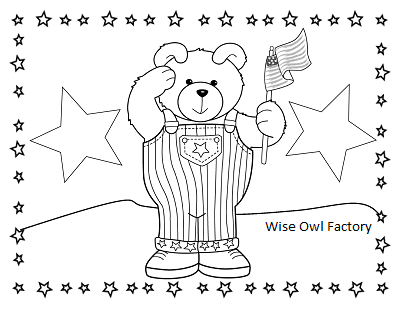 There are also coloring pages to help keep children busy as needed at picnics or when waiting for relatives. The children can quiz each other with the chatterboxes. Maybe they can quiz the adults! 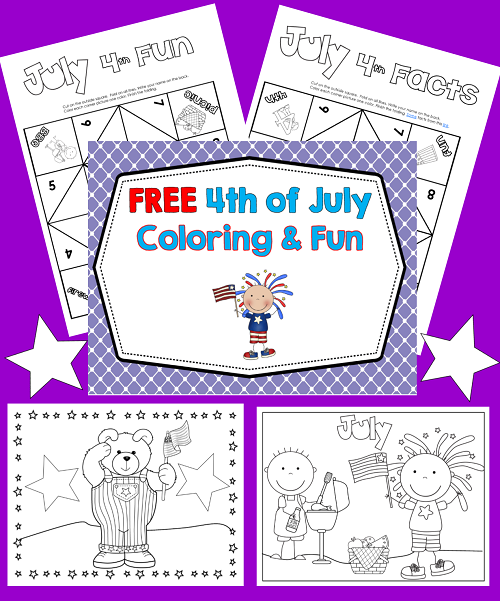 The coloring pages can help decorate the house, or be given to family members. The summer holidays can be relaxing and enjoyed by all. Hopefully, a few organized activities can help excited children focus for a little while. There is a facts chatterbox for the children who like to rattle off information, perhaps impressing relatives. 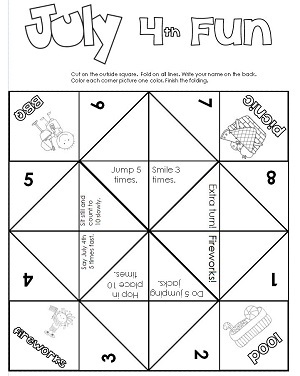 And a fun chatterbox to try with cousins, friends, and perhaps at summer school. The “fortunes” say things to do like jump a few times, or hop in place, or to smile. 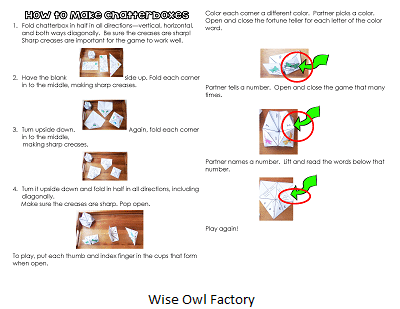 A page of instructions with photos is provided to help those new to such paper folding. 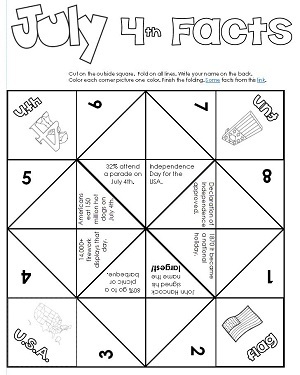 There is a picnic coloring page included in the PDF. And another coloring page . . .
As well as a generic calendar to perhaps mark the dates and times of family gatherings or summer school days and hours. 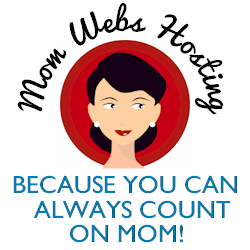 I hope this helps a few busy moms and teachers!